Minister Steven Miles announcing the $2 million investment from the Great Barrier Reef Innovation Fund. We welcomed Tuesday’s announcement of $2 million in matched funding from the Queensland Government. The funds for a gully remediation project, one of several initiatives being supported under the government’s Great Barrier Reef Innovation Fund, will be used to trial new innovative techniques to improve our ability to cost effectively restore erosion gullies and improve water quality on the Great Barrier Reef. In addition, a significant $500,000 donation was also contributed by philanthropists, David and Sallie Prior. Greening Australia CEO Brendan Foran said the funding would make a real difference to the effort to help farmers restore the gully erosion on their properties. “Fixing the problem of fine sediment run-off from gully erosion will be achieved through large-scale landscape restoration. “The restoration work will involve reshaping and re-vegetating gullies to stop the sediment at the source, as well as rebuilding coastal wetlands that act as kidneys, filtering out sediment before it reaches the reef. 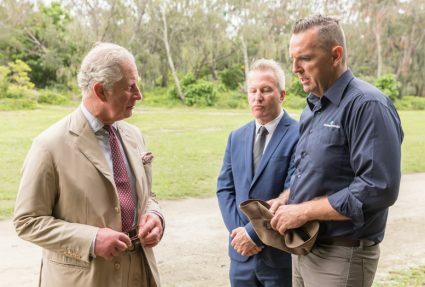 “This funding will enable us to establish large-scale restoration trials and a demonstration site showcasing innovative and effective gully restoration techniques,” Mr Foran said. 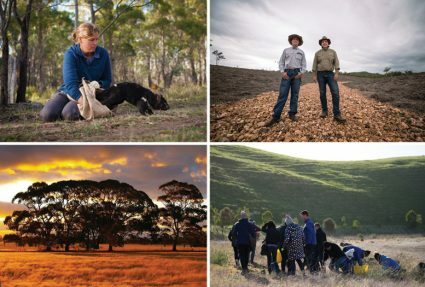 He added the key to success is the commitment from landowners, pointing to the close working relationships Greening Australia have worked hard to develop and maintain. Mr Foran said over the last 150 years, deep eroding gullies have formed on private grazing land – some over 10 meters deep – in the Great Barrier Reef catchments. “When it rains, plumes of sediment, pesticides and nutrients flow from land onto the reef, choking fish and coral, creating algal blooms and weakening the marine ecosystem. “Landholders are supportive, but once it starts raining it’s impossible to stop the gullies eroding and sediment rushing onto the reef. 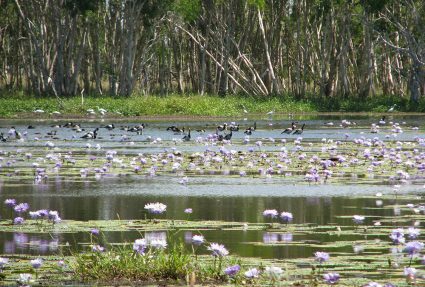 “It’s been scientifically proven that the restoration techniques we intend to use can reduce the sediment being released from the eroding gullies by up to 75 per cent,” Mr Foran said. For more information on Reef Aid, or to make a donation to support our work in the Great Barrier Reef, click here.